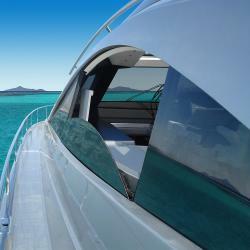 Superyacht Doors & Windows | Exalto Emirates LLC. 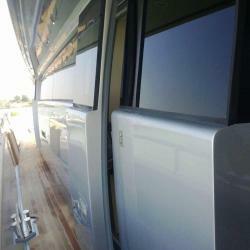 Being fundamental elements of the space on board, the Doors and Windows need to be designed with the utmost care and attention and manufactured with the greatest precision. The Besenzoni Design Center and Work Team have the know-how required to interact with the nautical designers and implement the project brief. Then, the customer&rsquo;s requirements are assessed in detail with a view to devising suitable, tailor-made solutions in line with the aesthetic standards demanded by the architects and the technical requirements demanded by the shipyards during the installation phase. A meticulous study on the engineering of the project, a prototype with specifications that anticipate final production, and ultimately the product itself, always constructed with supremely functional raw materials.